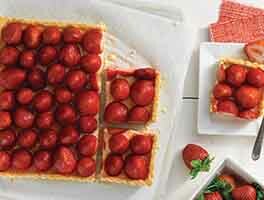 Ripe red strawberries cook into a smooth, creamy filling that intensifies the berries' flavor. Crowned with sweet swirls of toasted meringue, this is a gorgeous pie. 36 mins. to 38 mins. To shape the crust: Roll the pastry into a 12" circle and place it in a 9" pie pan that's at least 1 1/2" deep. Crimp the edges, and prick the bottom with a fork. Line the pastry with parchment or foil and place pie weights inside. Bake the crust for 18 minutes, until set but not browned. Remove it from the oven and remove the weights and liner. To make the filling: Combine the sugar and optional ClearJel in a medium saucepan. Add the strawberries, salt, flour, butter, and lemon juice, and stir to combine. Let sit for 10 minutes to allow the strawberries to release their juice, then cook the fruit over medium heat until the butter is melted. Whisk the egg yolks and cream together in a medium heatproof bowl. Add some of the hot liquid from the berries to the yolk mixture and mix well. Add the yolk mixture back to the saucepan and cook, stirring constantly, until the mixture comes to a boil. Remove from the heat and let the mixture cool to lukewarm. Pour the filling into the partially baked crust. 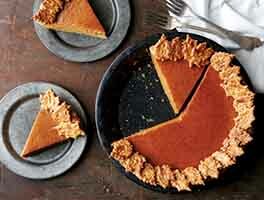 Reduce the oven temperature to 350°F and bake the pie for 20 minutes. To make the topping: While the pie bakes, place the reserved egg whites and cream of tartar in a mixing bowl and beat at medium-high speed until foamy and white. With the mixer running, gradually add the sugar and beat until the meringue is shiny and holds a soft peak. Place the water and cornstarch in a microwave-safe measuring cup and stir well. Microwave in 30-second bursts, stirring after each, until the mixture thickens and becomes translucent. Beat the warm gel into the meringue. 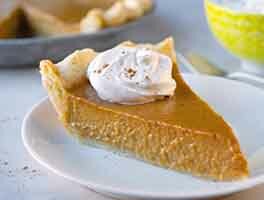 To finish: Remove the pie from the oven and spoon the meringue over the top while the filling is still hot. Take care to ensure the meringue makes contact with the crust all around the edge. Return the pie to the oven and bake for 16 to 18 minutes, until the meringue is lightly browned. Remove the pie from the oven and let it cool completely before slicing. Store any leftovers, well wrapped, in the refrigerator for up to five days. Why the optional ClearJel? 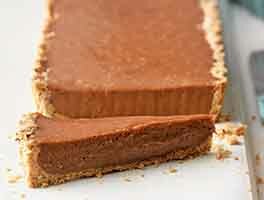 It will give you a slightly firmer filling and a cleaner slice of pie, which makes serving a little bit easier. It also keeps the filling in place in the unlikely event your pie isn't entirely consumed right away. I made this pie today for Easter dessert and everyone loved it!! I thought the recipe was easy to follow and tried to be patient about letting the individual components cool after heating. I did not have clear gel but did have pie filling enhancer so I bolstered the filling with a little of that and the consistency was great. The meringue turned out well, although I felt that adding the cornstarch and water mixture kind of deflated the meringue a little. Next time I might do without that addition. Overall, this pie was a success for me! My excitement for the recipe was matched with disappointment. The only way I deviated from the recipe was to use frozen whole strawberries instead of fresh. To compensate for the extra moisture, I added a little extra clear gel and an extra egg yolk. After 20 minutes in the oven the filling showed no sign of thickening and in the end it never did set. As to the meringue, adding the cornstarch gel gave it a marshmallow texture without any of the snappy shell. Some people may like that but it didn't suit my tastes. 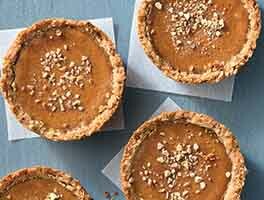 I still like the flavor and the concept of the pie and will cobble some other recipes together to give it another try but this particular recipe really disappointed me. Hi there, Claire. We're sorry to hear that this recipe left you feeling disappointed. 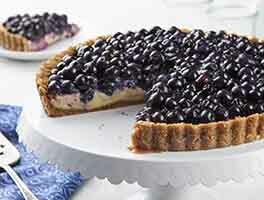 We'd encourage you to give this recipe a go with fresh berries — hopefully, they'll be here soon! In the event that you do try it again with frozen strawberries, typically when using frozen berries in place of fresh you'll want to increase the thickener by 1/4 teaspoon per cup of fruit or berries. We wouldn't suggest adding additional yolks because this will just add more liquid to the filling and not have the thickening effect you were hoping for.